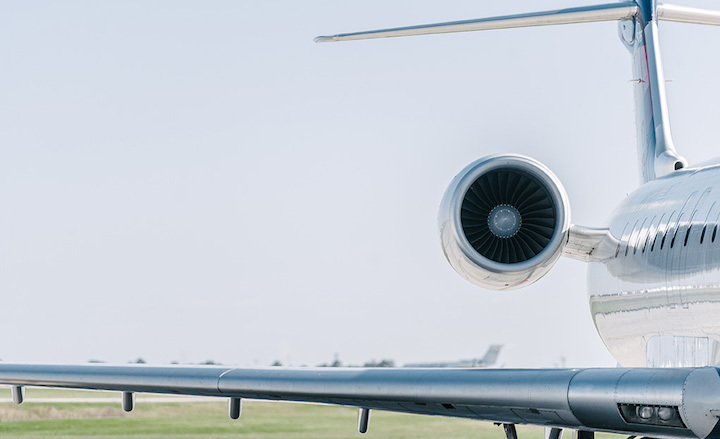 Savannah/Hilton Head International was interested in producing an annual report that would impress its audience of commission members, airport vendors, regional hospitality and tourism stakeholders, and other interested members of the public. 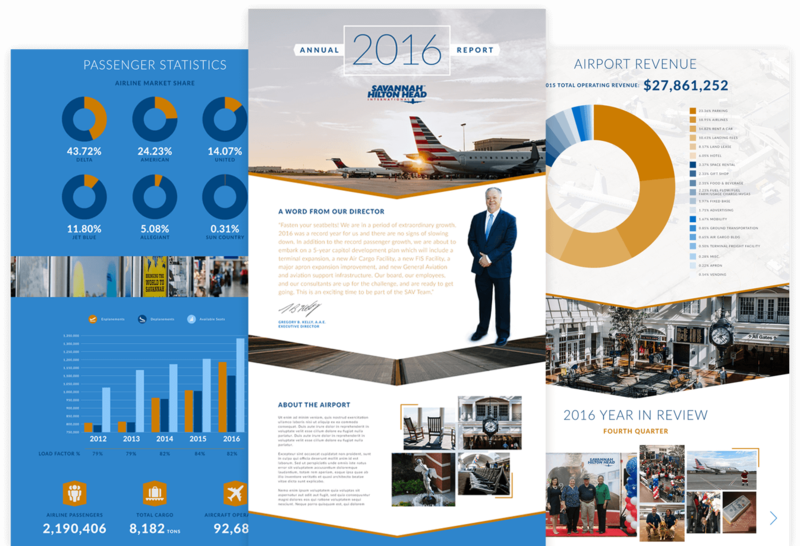 RobMark brought the airport’s annual report into the digital space, designing and programming an online piece that incorporated thoughtful, interactive elements and subtle animation that made the content within the report come to life. Animated elements included graphs, scrolling numbers, a route map, and panning imagery. The user could interact with the navigation (complete with a moving airplane) as well as the Year in Review section. 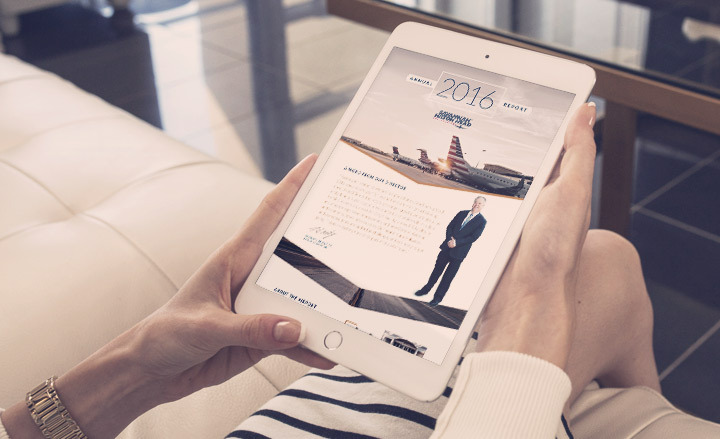 Through the use of animation, design, iconography, and photography, Savannah/Hilton Head International’s 2016 annual report helped tell a story – one of extraordinary growth and fuel for an even brighter future for Savannah/Hilton Head International. 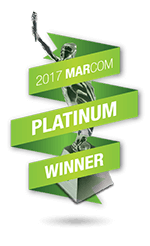 The digital report was met with praise by its audience and also was named a Platinum award winner in the 2017 MarCom Awards in the Digital Media: E-Communication category.